Rectriz Aviation is expanding service between Worcester and Cape Cod. 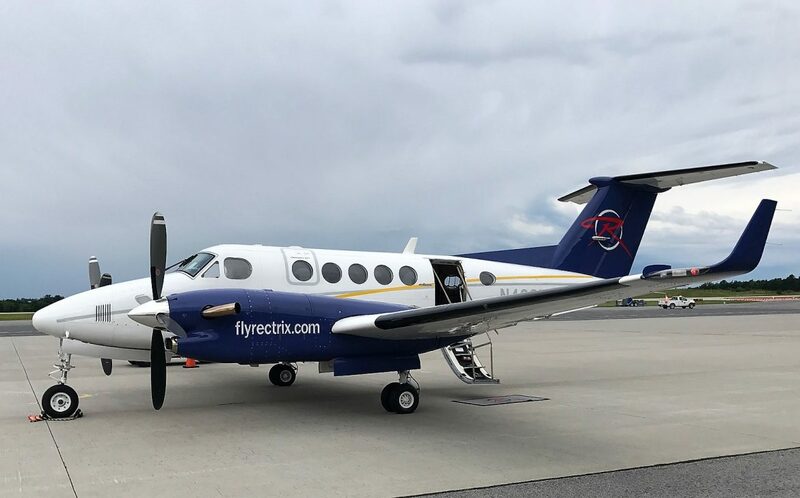 Rectrix Aviation announced the launch of a Worcester-to-Hyannis passenger flight with a ribbon cutting at Worcester Regional Airport. Lt. Gov. Karyn Polito, Massport CEO Thomas Glynn and Rectrix CEO Richard Cawley were on hand to mark the expansion of the Rectrix Cape Cod shuttle. They were joined by Worcester Airport Director Andy Davis, Worcester County Sheriff Lew Evangelidis and Worcester Regional Chamber of Commerce President and CEO Timothy P. Murray. The shuttle service debuts tomorrow afternoon with the maiden flight arriving in Worcester at approximately 3:30 p.m. with Boston Bruins legend Bobby Orr as its first passenger. “Today’s announcement is an exciting day for Rectrix and the Worcester Regional Airport,” Polito said. “These additional flights are reflective of this growth and Rectrix’s nimbleness in meeting air passenger needs,” Murray said. Rectrix’s initial schedule features round-trip once-daily flights from Thursday through Monday each week. Each flight has nine passenger seats. Ticket information is on Rectrix Shuttle’s website. 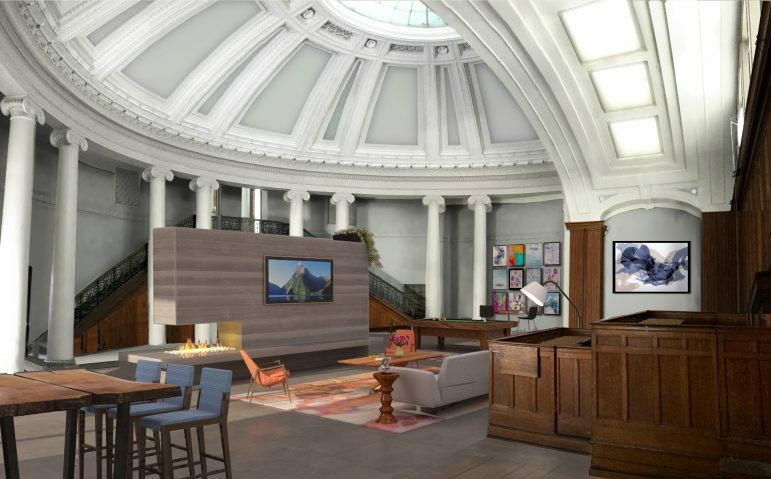 Trinity Financial, a firm that has developed complex urban sites from New York to Greater Boston, has been selected by the city of Worcester as developers for the former Worcester County Courthouse. Proposed plans include approximately 125 new units of residential housing and ancillary amenity space, with half of the units rented at market rates and the remaining units designated for workforce housing with a creative economy focus. The development will include the historic rehabilitation and preservation of the former courthouse. “This project will provide quality workforce and market-rate housing for the community and breathe new life into Lincoln Square, increasing neighborhood stability and revitalizing a unique piece of Worcester’s history,” Trinity Financial Managing Director Kenan Bigby said. The oldest part of the courthouse, the Greek Revival building on Main Street, was built in 1843 and rebuilt in 1898, and the addition on the Harvard Street side was built in 1954. The nearly 250,000 square-foot building has been vacant for a decade. The city bought the courthouse property from the state for $1 in 2014, and has since invested significantly on asbestos and other environmental cleanup on the building. The total cost of the project is expected to be approximately $53 million, financed primarily with historic tax credit equity, private debt and other sources. 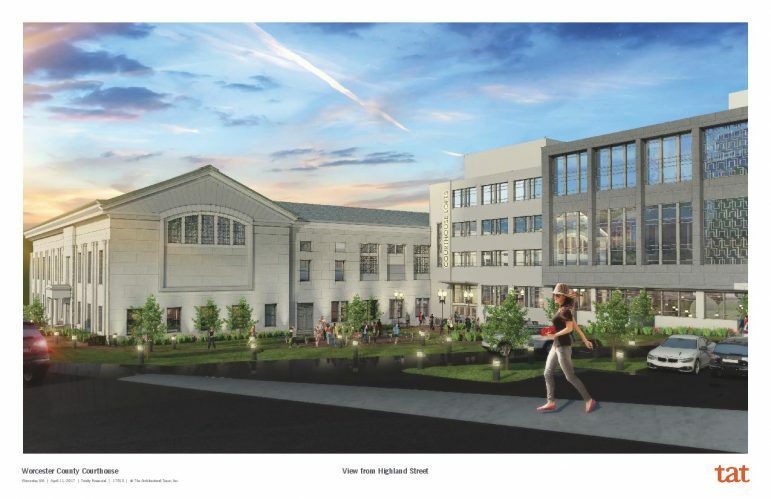 “The development will anchor the north end of Main Street and provide opportunities for both existing and new businesses, contribute to the city’s tax base, and offer a desirable residential location.” said Timothy P. Murray, president and CEO of the Worcester Regional Chamber of Commerce. Construction is slated to begin in the fall of 2018 with completion projected for summer 2020. Anna Maria College announced that its Master in Social Work degree program is enrolling students for the fall semester after having been granted approval to start by the Council on Social Work Education, a specialized accrediting body recognized by the Council of Higher Education. Students will now have the opportunity to participate in a full-time or part-time program that will run on weeknights and weekends. Anna Maria’s Master in Social Work program trains students for advanced generalist roles in a variety of areas, including Administration in Social Work, School Social Work, Teen Counseling, Marriage and Family Counseling, Medical Social Work, Psychiatric Social Work, Child Welfare Services, Geriatrics, Hospice and Crisis Centers. Applications for fall are being accepted until July 15. Burncoat Branch, 526 Burncoat Street: Through Aug. 23, 9 a.m.-noon and 2-5:30 p.m. Tuesdays-Fridays; 2:30-5:30 p.m. Saturdays. Goddard Branch, 14 Richards St., Through Aug. 23, 9 a.m.-noon and 2-5:30 p.m. Mondays-Fridays; 9 a.m.-noon Saturdays. Roosevelt Branch, 1006 Grafton St.: Through July 1, 9 a.m.-noon and 2-5:30 p.m. Tuesday-Friday; 2:30-5:30 p.m. Saturday. July 5 – 29, 2-5:30 p.m. Tuesdays-Fridays; 2:30-5:30 p.m. Saturdays. Aug. 1 – 23, 9 a.m.-noon and 2-5:30 p.m. Tuesdays-Fridays, 2:30-5:30 p.m. Saturdays. Tatnuck Magnet Branch, 1083 Pleasant St., Through Aug. 23, 9 a.m.-noon and 2-5:30 p.m. Mondays-Fridays, 9 a.m.-noon Saturdays. The four branches will also be closed on Aug. 24-26. Fall hours will resume Monday, Aug. 28. The Main Library, Frances Perkins Branch, and Great Brook Valley Branch will have regular hours throughout the summer.